This video provides a solution to the scenario where it is required to have local availability for SQL Server instances between the nodes on one location i.e. 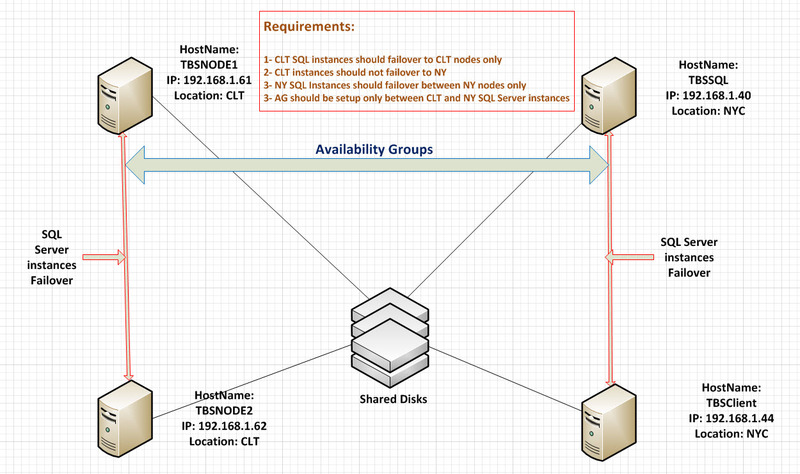 Charlotte - and provides AlwaysOn availability Disaster Recover on another location i.e. NYC.